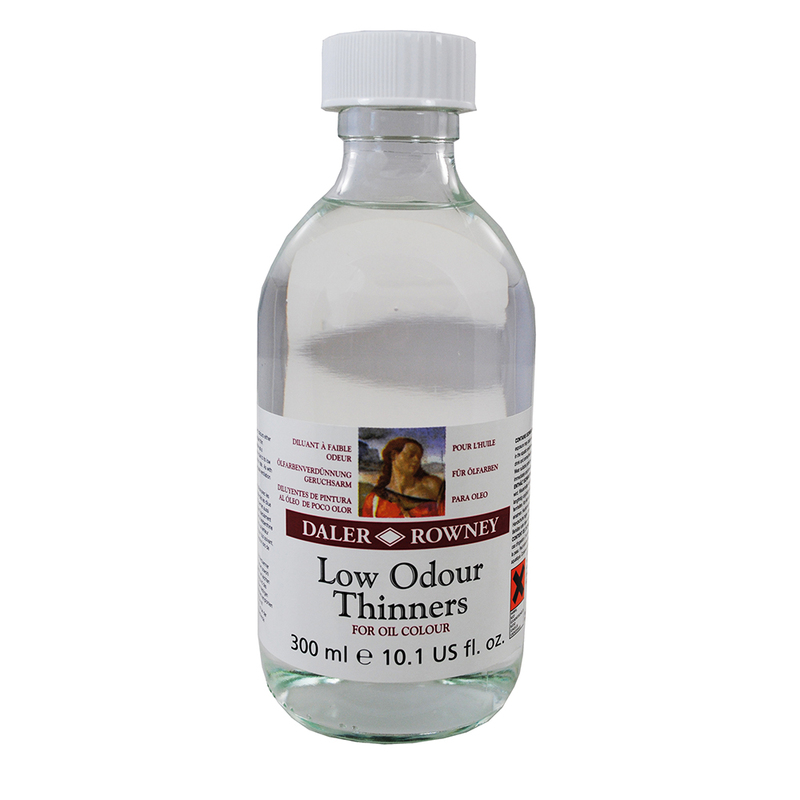 Daler Rowney Low Odour Thinner is an alternative to Turpentine. This alternative is ideal for those working in a confined space or for artists who find Turpentine to be too strong. 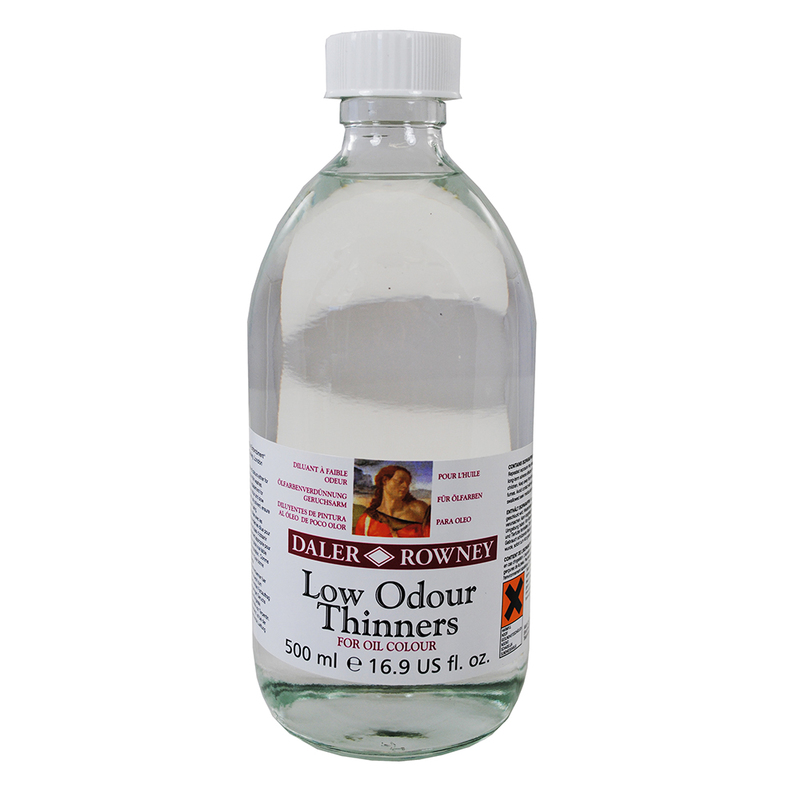 As well as thinning paint, Low Odour Thinner can also be used to clean brushes and palettes. 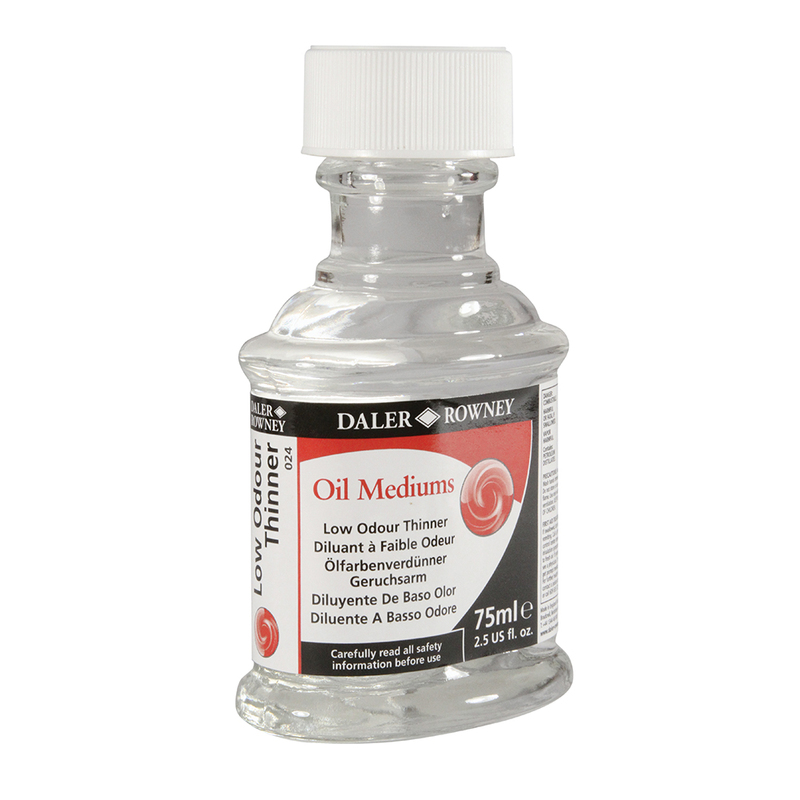 Now available in 75ml, 300ml or 500ml bottles.